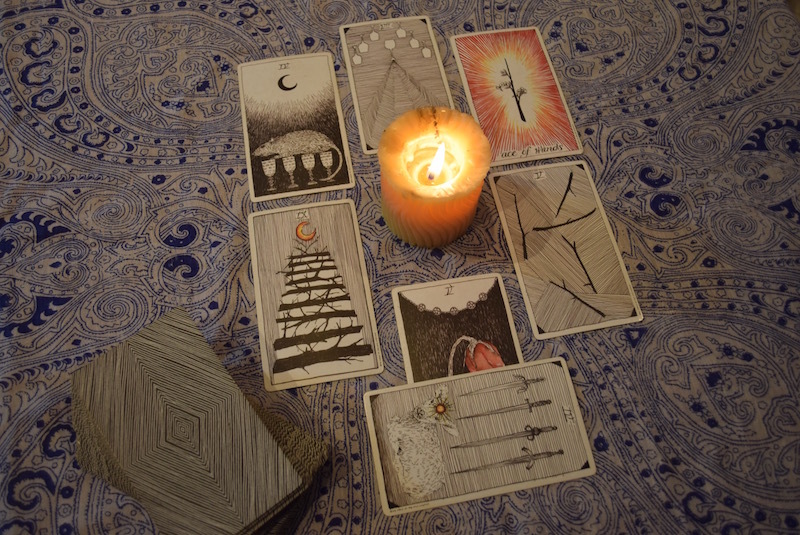 There’s one particular kind of question that comes up a lot for for tarot readers. It’s the kind where a querent is faced with two options, and they’re having trouble deciding between them. Usually, this decision can be boiled down to staying where they are (though they might want or need to make some changes if they do), or quitting the situation and moving on to something different (which may or may not be a known quantity). I’m good at my job and I feel like I might get a promotion soon…but I can’t help feeling that I’m ready to try something else and have been wondering about starting my own business. I don’t know what to do about my relationship – I don’t want to hurt my partner, but feel like we’ve hit a plateau and I want to explore other sides of myself. Where I live, I have a lovely community and social life, but I’m feeling stuck. I’m considering moving to a new city and starting over, but I’m not sure if it’s the right thing to do. We’ve all been in these situations! In fact, most of us deal with this kind of ‘stay or go’ dilemma on a regular basis – it’s just part of life. 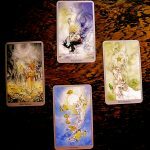 Still, it’s often exhausting going back and forth between one option and another, especially when the stakes are high, and tarot can be a great way to prompt a wise decision. So, last time I received one of these questions, I got busy and created this simple spread. Try it for yourself, and share it if you find it useful! 2. Stay. These cards explore the ‘stay’ option. What is the underlying energy of this route? What sacrifices must be made, or what are the potential outcomes, benefits, or issues? 3. Go. These cards explore the ‘go’ option. What sacrifices must be made, or what are the potential outcomes, benefits, or issues? You can shorten this spread by drawing only one card for each option, or go deeper by drawing more than two. Confused by the crossing card, or want more concise advice? Miss it out! It’s not just for ‘stay or go’ questions – maybe you have three options instead of two? 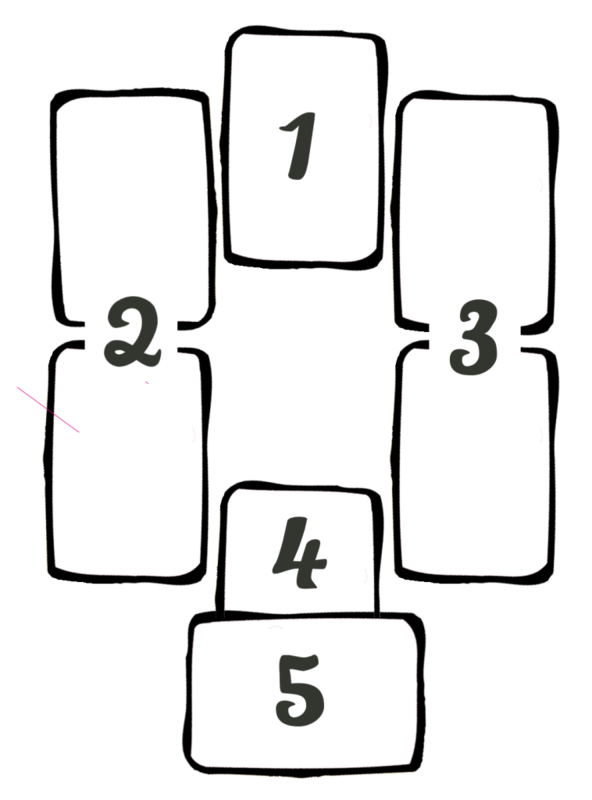 In this case, shift the central card upwards a touch, and create a new column down the middle, so you have three columns, one for each option. 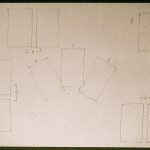 I am only a beginner with the tarot, and am seeking a little help. 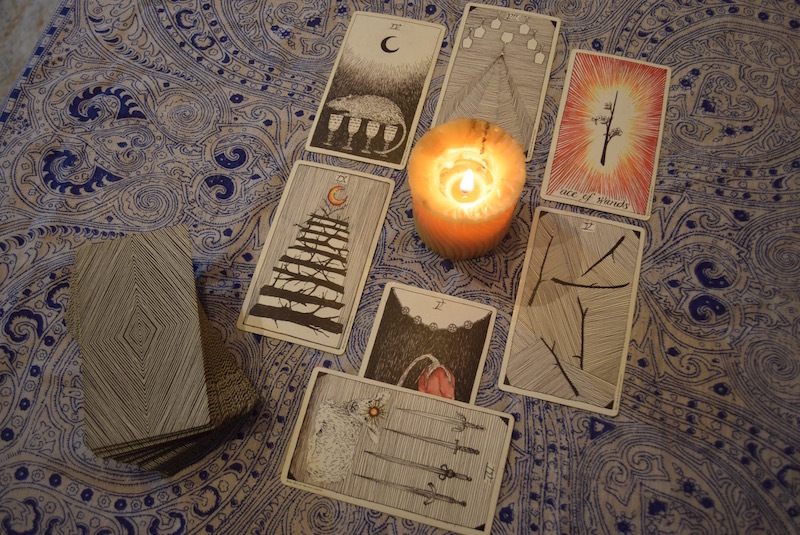 I tried this layout tonight, and while asking the questions regarding my relationship – the ‘should i stay or should i go?’ a card fell out, and so I just neatly put it aside the turn over at the end, as clearly it was needing to tell me something. and my ‘jump out’ card during the shuffle was the devil. I’m trying to decipher it all, and feeling a little overwhelmed. For the record, I shuffled these cards for a good few minutes, and really meditated on my questions. Hi Beth! Thanks for this spread as I actually need it for a few areas in my life at the moment. Needless to say, I am in a serious time of transition. I’m wondering if you could help me with 2 cards that showed up for one of my options- Queen of Swords reversed and 6 of Wands- I’m having some trouble deciphering whether this is a good/not so good option for me. How would you read this? Hi Beth! I just wanted to say thank you so much–I’ve been waffling over a difficult work decision and looked at a few career spreads before I came across yours and it worked perfectly! I feel much more confident in my decision now.